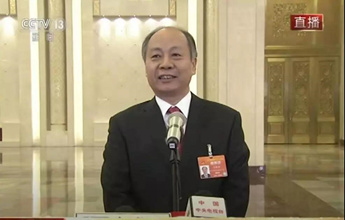 Wang Xiaotao, chairman of the China International Development Cooperation Agency (CIDCA), answered questions from a Hong Kong Economic Herald correspondent in a “passage interview” at this year’s two sessions on March 3. Zhang Maoyu, vice-chairman of the China International Development Cooperation Agency (CIDCA), met with Secretary-General of the World Meteorological Organization (WMO) Petteri Taalas in Beijing on Feb 25. Zhang Maoyu, vice-chairman of the China International Development Cooperation Agency (CIDCA), met with Akihiko Nishio, vice-president of development finance at the World Bank, in Beijing on Feb 20. Zhang Maoyu, vice-chairman of the China International Development Cooperation Agency (CIDCA), met with Takeshi Kasai, the World Health Organization (WHO) regional director for the Western Pacific, in Beijing on Feb 15. Deng Boqing, vice-chairman of the China International Development Cooperation Agency (CIDCA), met with Sanjay Mathur, director for the Asia Region of the United Nations Office for Project Services (UNOPS), on Jan 30. Wang Xiaotao, chairman of the China International Development Cooperation Agency (CIDCA), visited Switzerland and international organizations in Geneva from Jan 13 to 16.